For a long time the Annapurna Circuit was one of the world’s classic treks, high up on the must-do list of many a seasoned traveller. And with good reason, too: circling one of Nepal’s most beautiful mountain ranges over a period of two to three weeks, it starts at the balmy altitude of 800m, rises to 5416m at its highest point, the Thorong La pass, and drops back down again. This significant change in altitude makes it one of the most diverse treks in the world, with every day being different from the last as you pass from climate zone to climate zone, from jungle to alpine forest to high altitude desert and back again in reverse. The profusion of tea houses in every village along the way, where cheap food and accommodation is readily available, also makes it easily trekkable with very little organisation required. 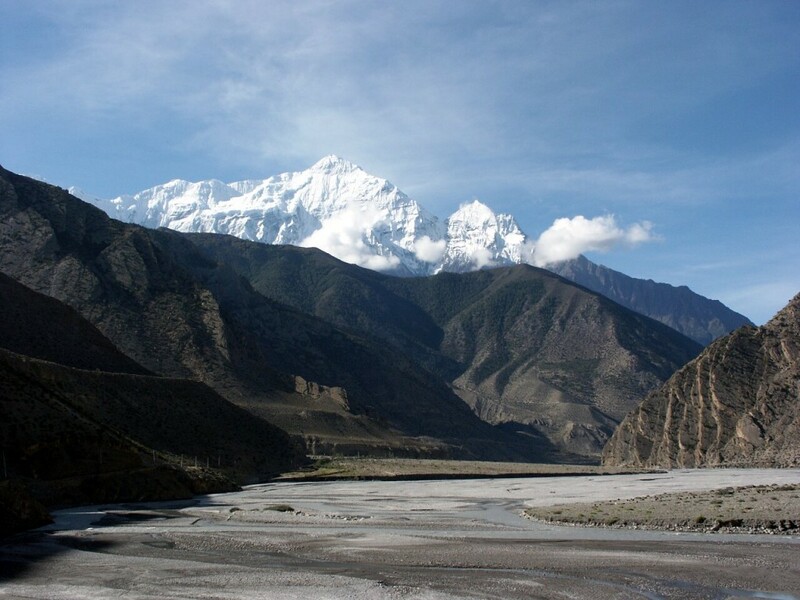 All of the above remains true, yet in spite of this there is no question that the Annapurna Circuit is no longer the remote mountain experience it once was. The reason for this is roads that now span the circuit in virtually its entirety, and make the trekking experience a very different one from what it was just a few years ago. I covered the changing face of this once classic trek in an earlier blog post, Is the Annapurna Circuit still a Must-See? In this post I argued that the road should not be lamented by trekkers, who should instead be more creative about where they go trekking in Nepal and look outside the tourist hotspots to the many other off-the-beaten-path locations the country offers. This in turn will help to spread the benefits of tourism to some of the poorer parts of Nepal. I had the opportunity to sample one of these other areas first hand when I walked the first part of the Annapurna Circuit’s eastern neighbour the Manaslu Circuit on my way to climb Manaslu last month. And what amazing trekking it was! Running parallel to the Marsyangdi gorge, the first section of the Annapurna Circuit, the Manaslu Circuit’s Budhi Gandaki gorge is a far more narrow and dramatic river valley, at times converging to just a few metres wide as steep wooded cliffs rise up on either side. Many parts of the trail are hewn into cliff faces and climb high above the valley floor on remarkable rock staircases. 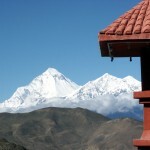 There is much in common with the Annapurna Circuit, too. It also starts off at low altitude, 600m in Arughat, and rises through different climate zones to a high pass, the Larkye La at 5160m, before dropping back down again as it circles one of Nepal’s handful of 8000m peaks. It even follows part of the route of the Annapurna Circuit when it reaches the village of Dharapani and follows the Marsyangdi River in reverse for the last couple of days. Like the Annapurna Circuit it starts in the Hindu lowlands and passes the stupas, gompas and prayer walls of Buddhist country as it crosses the Himalayan divide. It’s nowhere near as developed as the Annapurna Circuit in terms of tea house infrastructure yet. There aren’t as many of them, and we had doubts about hygiene in some of the places we stopped in. Larger groups may still prefer to do it as a fully supported camping trek and take their own kitchen crew with them, but this is undoubtedly changing. An independent Manaslu Circuit web site has been set up which claims there are easily enough tea houses already in existence to make the trek tea-house-able for independent trekkers. The site even has an interactive map which lists the names and quality of tea houses along the way. So will the Manaslu Circuit eventually replace the Annapurna Circuit as Nepal’s classic tea house trek? Personally I think not, but I also think this should be seen as a positive. The Annapurna Circuit has become too crowded, and this inevitably leads to problems. In a country with so many beautiful trekking areas to explore as Nepal, there’s no reason why everybody always has to go to the same places. Many of the trekkers we met in Samagaon, a village in the heart of the circuit at the foot of Manaslu itself, were not confining themselves to completing the Manaslu Circuit by returning to Besisahar along the Marsyangdi gorge. Most were actually joining up with the Annapurna Circuit and continuing to Manang, crossing the Thorong La and flying out from Jomsom on the western part of the Annapurna Circuit, or making a side trip to Tilicho, a bleak high altitude lake a couple of days trek off the Annapurna Circuit. Some were even turning north into the restricted area of Naar and Phu near the Tibetan border. This evidence seems to suggest that trekkers are indeed becoming more imaginative. It also points to the possibility of the two circuits merging together, with people trekking a combination of both with some side trips, rather than doing either of them as a single circuit. So is the Manaslu Circuit the new Annapurna Circuit? I don’t think so, but that’s a good thing. But as the Annapurna Circuit once was, it’s definitely becoming a must-see, if it isn’t already. I definitely hope to go back there some day. And if you’re wondering what it’s like you can see my photos from the Budhi Gandaki section of the trek or watch this little video taster. Thanks, Bikalpa. A very tantalising glimpse – did you take any more? I’d be particularly interested in more from the higher parts around the Larkya La as I have plenty of my own from the Budhi Gandaki. A little bit tougher I’d say, though not by much. An important difference is the quality of tea houses. They are much more basic on the Manaslu Circuit and hygiene is therefore more of an issue. Thanks for sharing such a nice collection , i like your Nepalie staff making fun dancing looks trip might be very memorable . Following the recent earthquake in Manaslu region, there are many confusion about the landslide and trail condition. some of the traveller they recently explore the trail and they found the truth and share their experience . I found your page in a search I hope this comment will helps everyone who looking for Manaslu. The link below from the different travellers might be a useful for everyone. I recently did Manaslu trek in March 2016, I am packing up with my trip report very soon, you can check further update here in my blog http://www.manaslutreknepal.com. I found the trail from Dharapani to Beshi Sahar is totally destroyed by motor road. You can hardly avoid the motor road up to Tal. Otherwise most of the time you will end up walking in the road next to jeep. 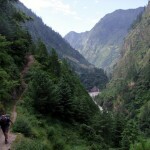 But I encounter with many other trekkers on their way up to Thorong La Pass. There are many blogs over internet promoting Manaslu as an alternative to Annapurna Circuit stating it as a great teahouse trek. But my opinion is you cannot compare Annapurna and Manaslu. 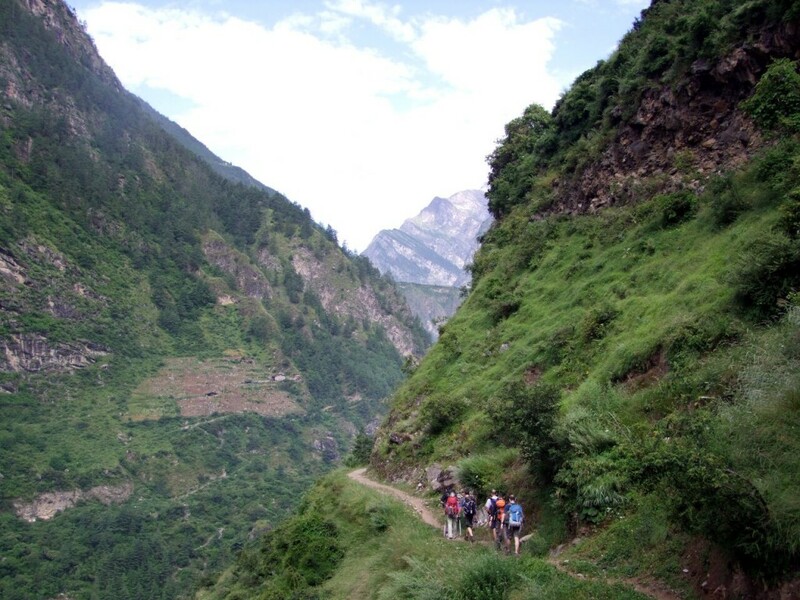 There is now a New Annapurna Trekking Trail (NATT) avoiding the road in Annapurna Circuit. 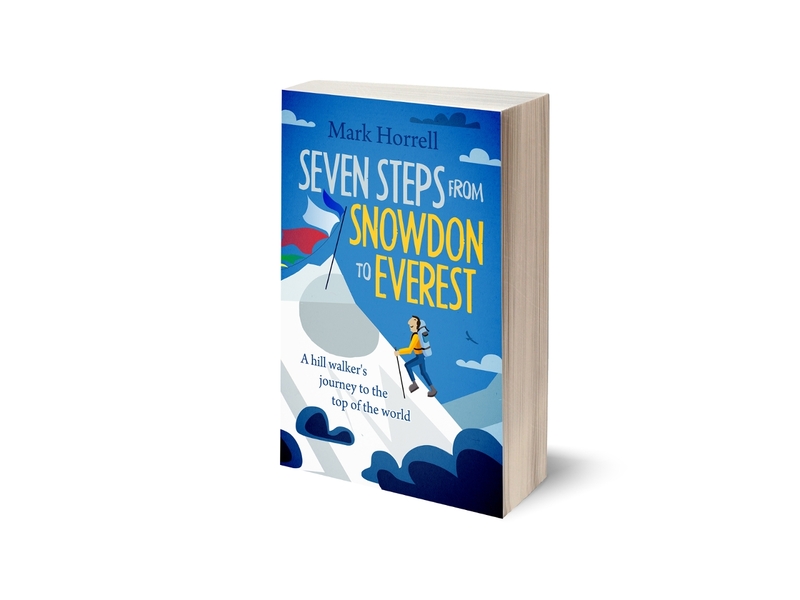 This is a very nice blog Mark! 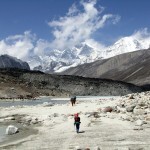 Indeed, Manaslu circuit trek is no doubt the modern day Annapurna circuit trek. It is serene and far away from the countless foot unlike its counterparts. The people, villages and the culture as well is very unique and untouched. I had this opportunity to do Manaslu circuit in 2013, 2014 and late 2015 and every time it was beautiful. However, at the moment you will witness the effect of 2015 earthquake. On the other hand, people are back on track and have again started welcoming guests and that is beautiful.